Another video?! Whaaaaaat. Today I have a crispy barbecue zombie look for you! I wanted to do something that isn't too difficult to do but would still be an interesting costume for Halloween. It also uses materials that aren't too difficult to get your hands on at this time of year and also offers alternatives for some things. 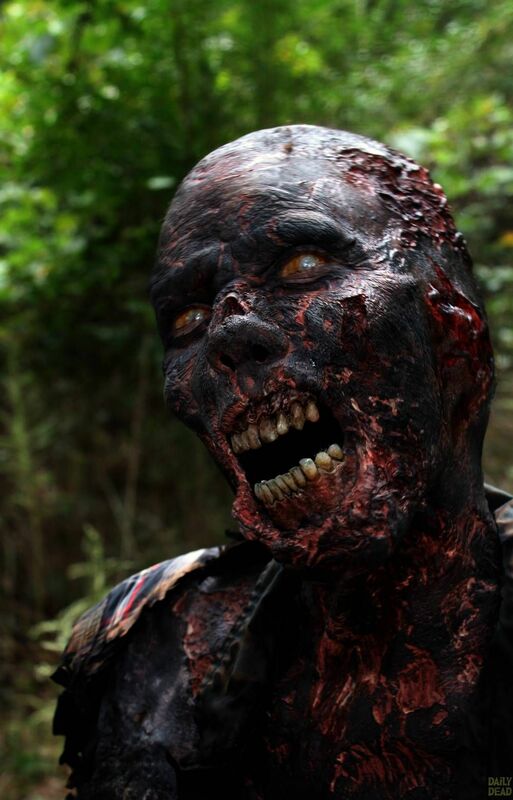 Ever since I saw a burnt zombie in The Walking Dead, I've had this look on my to-do list. This look is the reason I tried to make some zombie prosthetics a little while ago (you can watch the video here) but my moulds didn't survive the process so I decided to go the complete opposite direction and use the most basic materials instead of being all fancy with prosthetics etc. I figured more people would get more use out of an easier tutorial at this time of year anyway. I will still definitely be trying to make some prosthetics another time, though. By the way... This bald cap application was the best I've ever done and it's SUCH a shame because all the edges were covered up with the latex and tissue build up anyway! I couldn't believe it. I struggle so much with bald caps, especially plastic bald caps because they're still quite new to me, so I'd had to laugh at the timing. I keep getting question about what I used for the eyes and the answer is Photoshop! I didn't have any lenses that would work for the look so I just edited them instead. There are definitely some cool sclera lenses with a similar effect out there if you're interested, though!